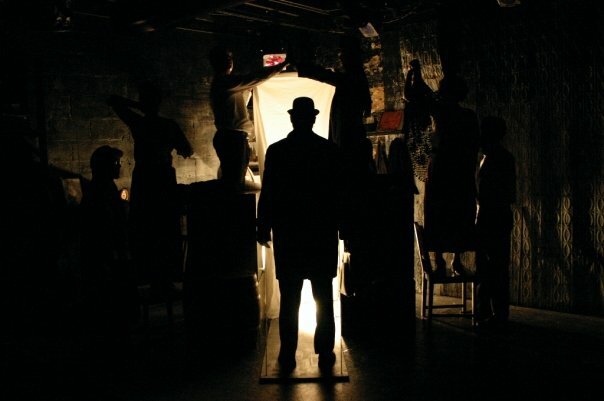 "A story where nothing happens, and happens repeatedly, might not sound like edge-of-your-seat theater, but Robbel's vivid staging is one of the most inventive and exhilarating things we've seen onstage in ages. 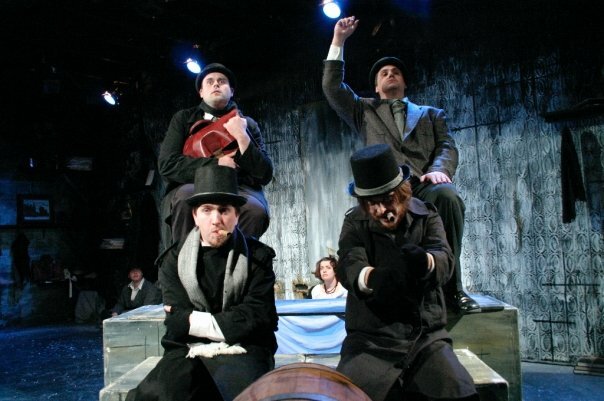 K's struggle to make sense of the seemingly arbitrary rules and mores of the village and bust through suffocating bureaucracy is brought to life in golly-gee-whiz fashion by an outstanding ensemble that pulls double duty creating David Marcotte's live percussive sound design. 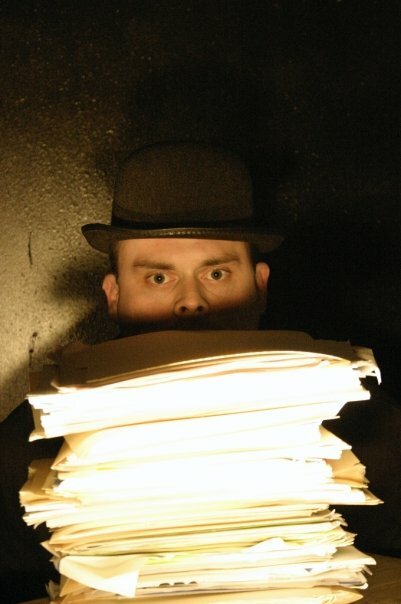 Who knew a cerebral portrait of alienation and xenophobia could be so damn thrilling?" 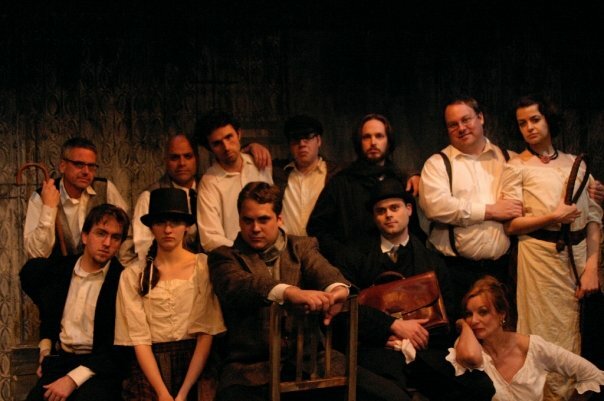 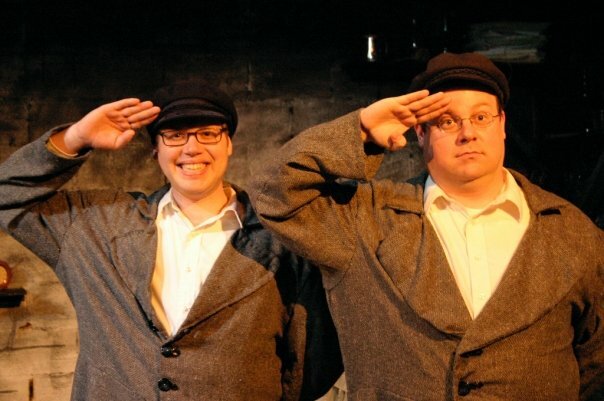 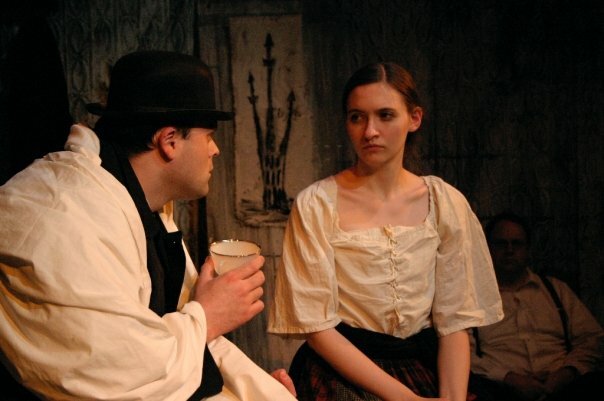 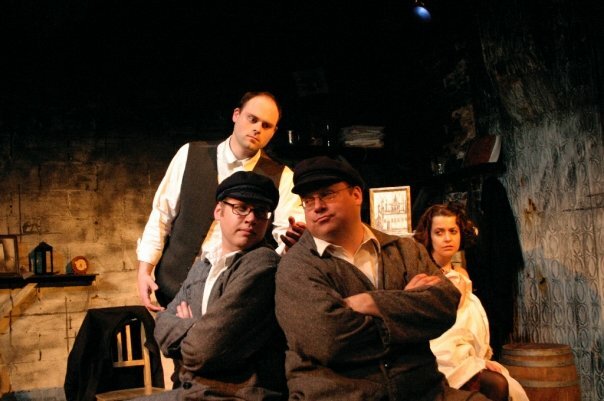 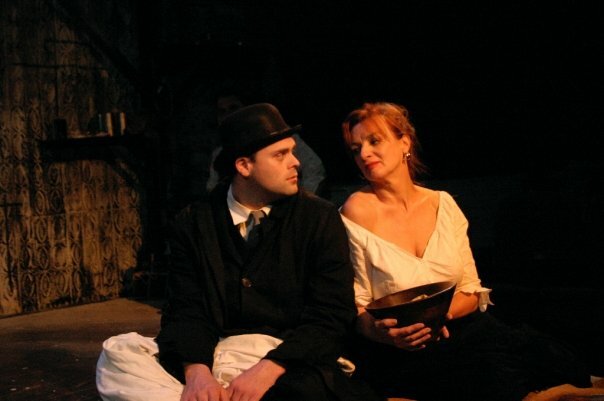 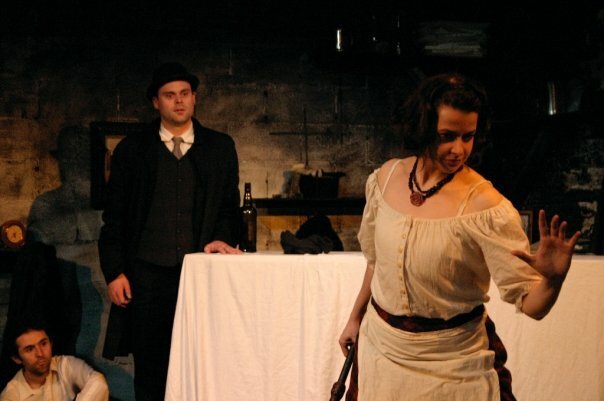 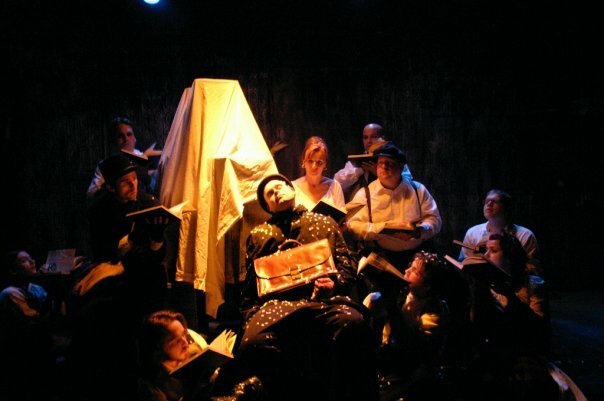 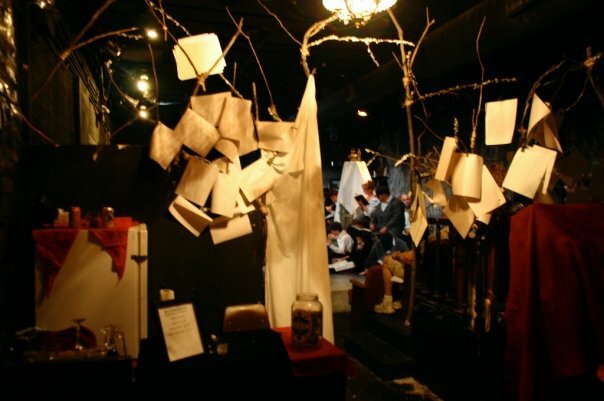 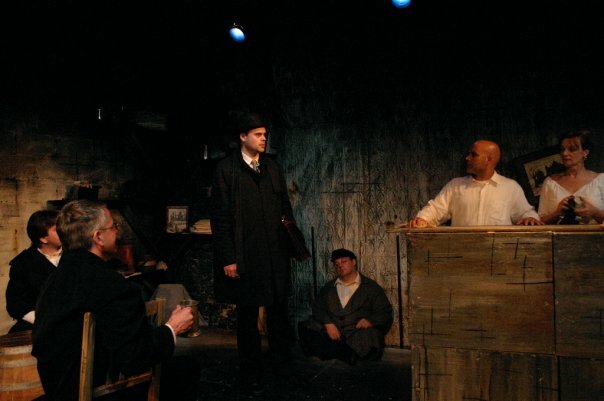 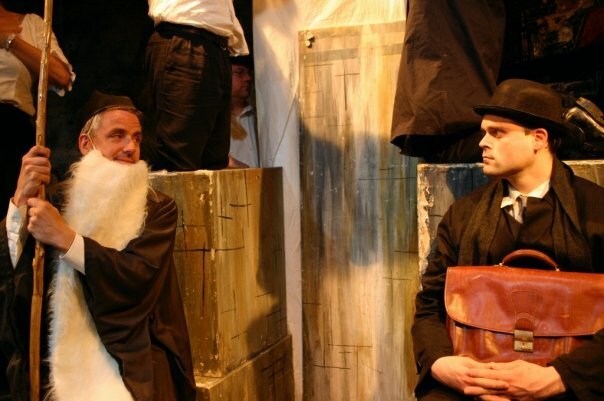 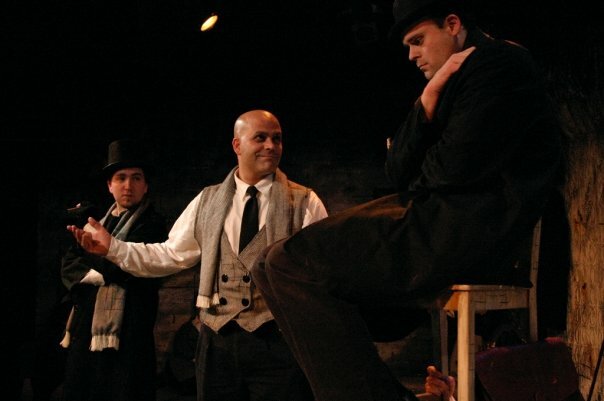 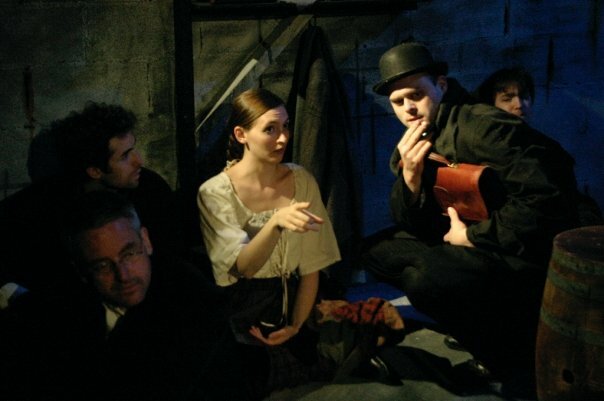 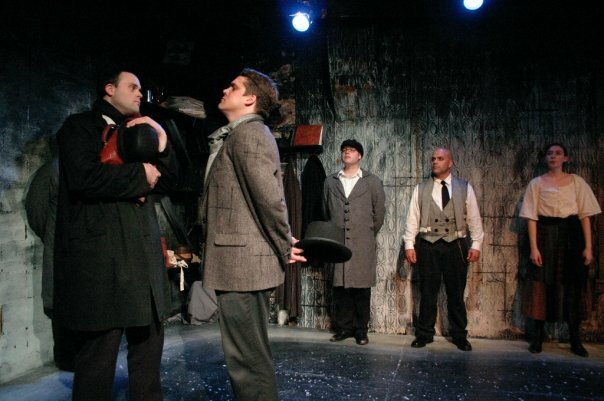 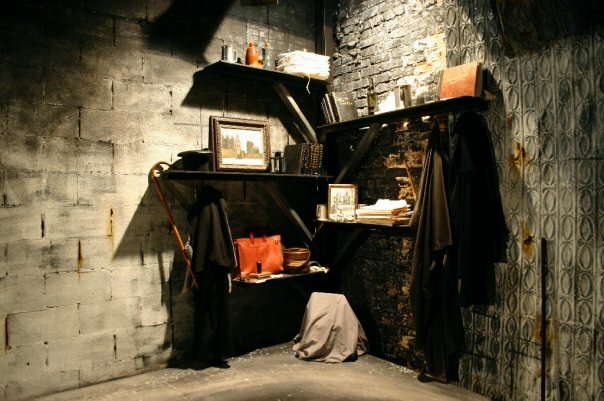 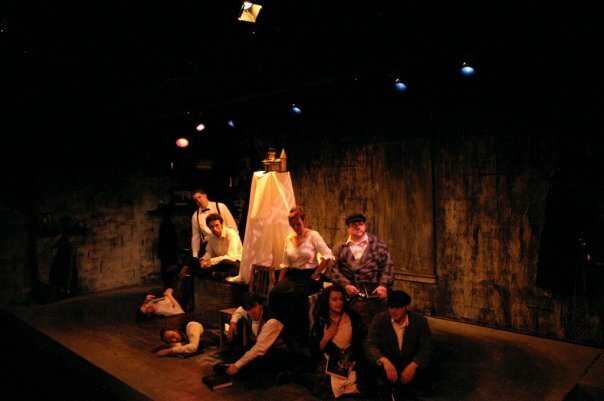 May 2007 saw one of the RBP's most ambitious projects come to fruition at the Trap Door Theatre. 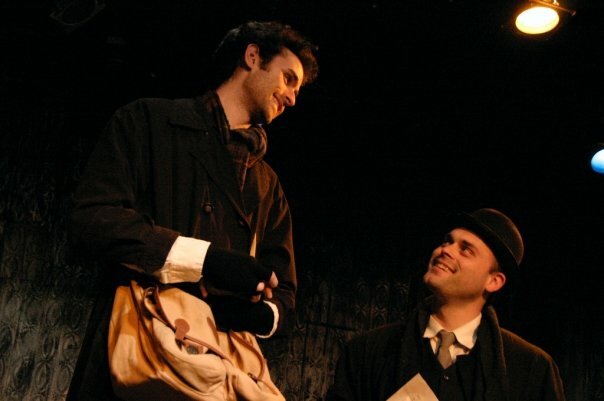 Based on Kafka's unfinished novel, the Right Brain Project's production marked the mid-west premiere of the English translation. 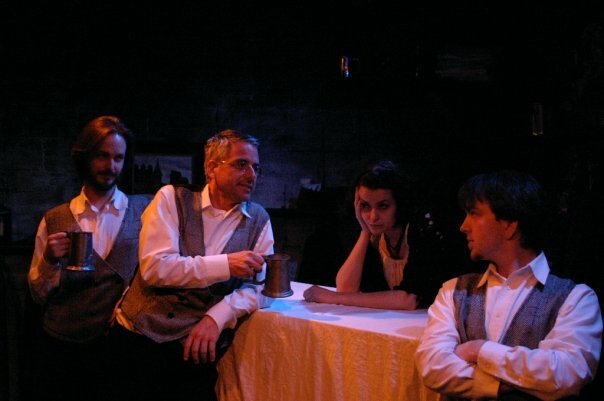 K., a land surveyor, has been summoned to the castle. 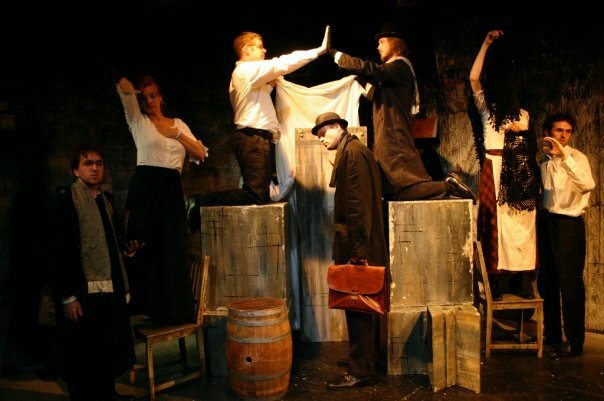 Upon arriving at the village surrounding the mysterious castle, K. encounters a world of bureaucracy gone awry. 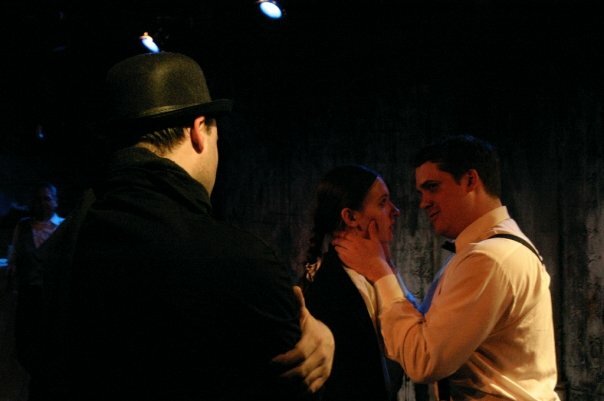 Conflicting directions, individuals who may or may not have hostile tendencies, and a woman who jumps into his arms only to beg him to leave all drive K., the everyman, to a state of near-madness as he desperately seeks passage, or at the very least, instructions from his seemingly apathetic employer. 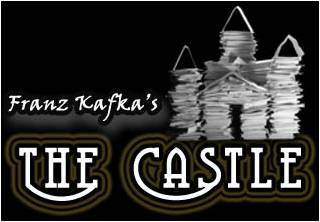 But at its heart, Kafka's story is that of the spiritual journey we all face as we seek acceptance and confirmation of our place in the world. 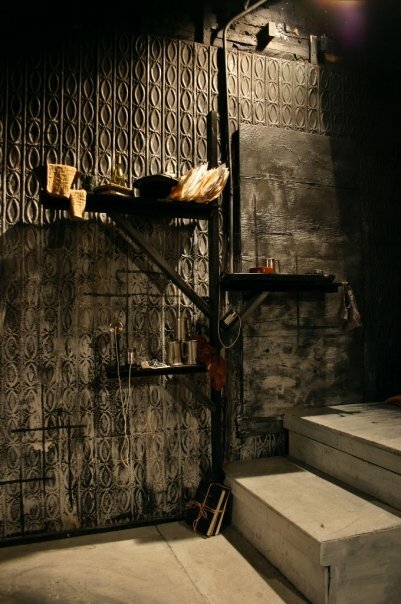 Production photography by Nathan Robbel.